Family and friends gathered for a Mass Sunday to remember Chicago police officers who have died in the line of duty. CHICAGO (WLS) -- Family and friends gathered for a Mass Sunday to remember Chicago police officers who have died in the line of duty. 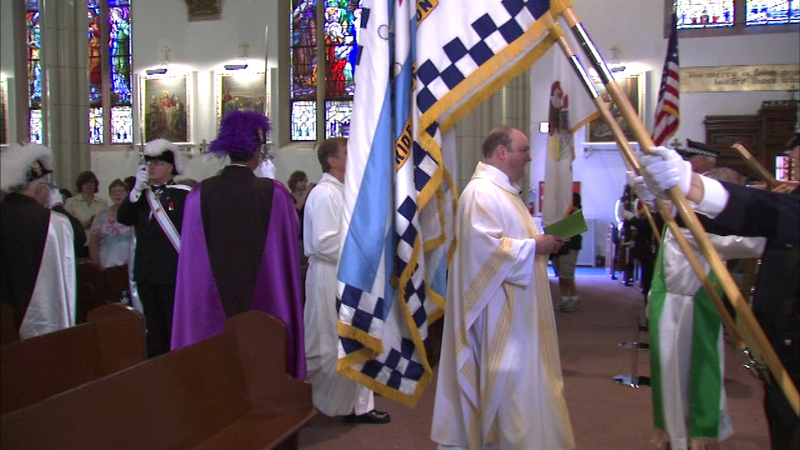 The Chicago Police Chaplain's Office held a "Blue Mass" at Resurrection Catholic Church in the Avondale neighborhood. Following the Mass, a statue of Saint Michael the Archangel was dedicated outside the church in honor of the 572 Chicago officers who were killed in the line of duty.